People don’t like things they don’t understand. 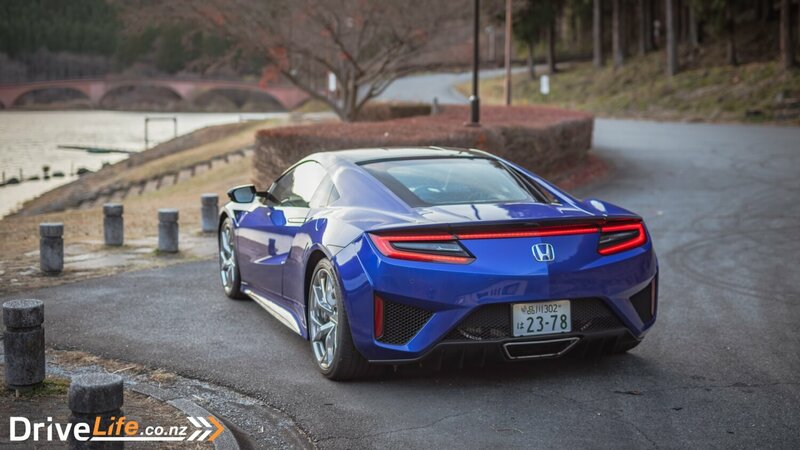 I can’t recall any other supercar in recent years that’s been received with such mixed and divided opinions quite like the new Honda NSX. Some people loved it, some less so. 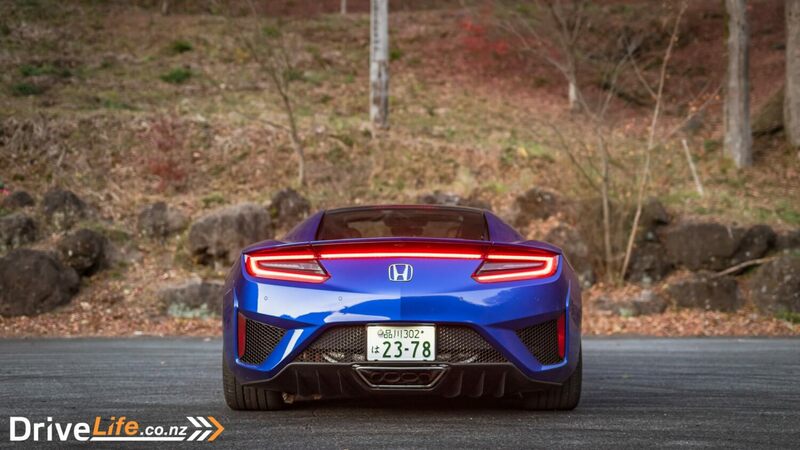 It didn’t help that Honda had prolonged releasing the sequel to the iconic first-generation NSX for so long. They had teased us with various concept cars and a racing car prototype that never ended up in production. 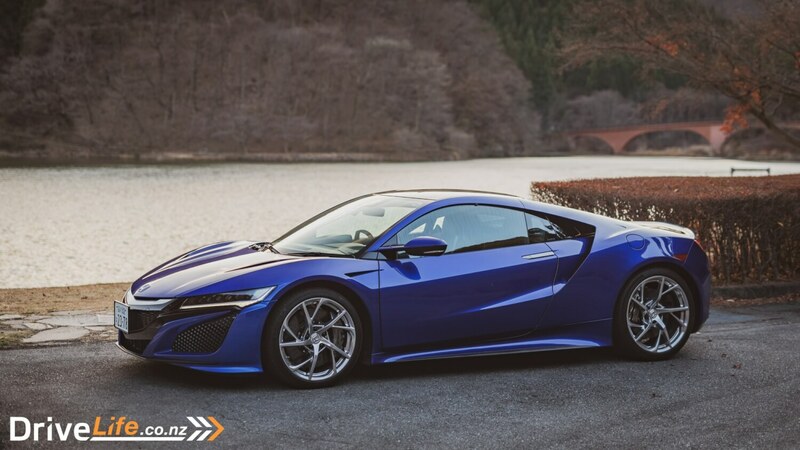 At one point it was even rumoured to have a V10 engine to go head to head with the Lexus LFA but something called the global financial crisis happened and Honda had to take a step back and rethink their next move. 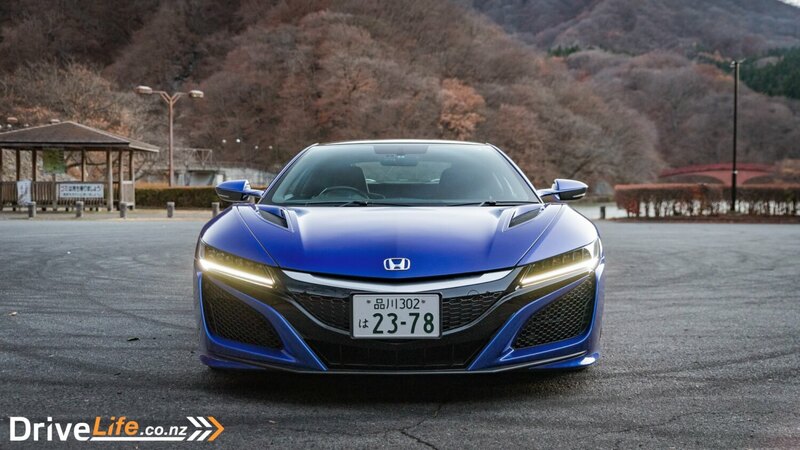 In 2012 Honda unveiled the NSX Concept at that year’s Detroit Motor Show to give a preview of what was to come. The production car was shown three years later at the 2015 Detroit Motor Show and went on sale in 2016. That is, except for New Zealand. 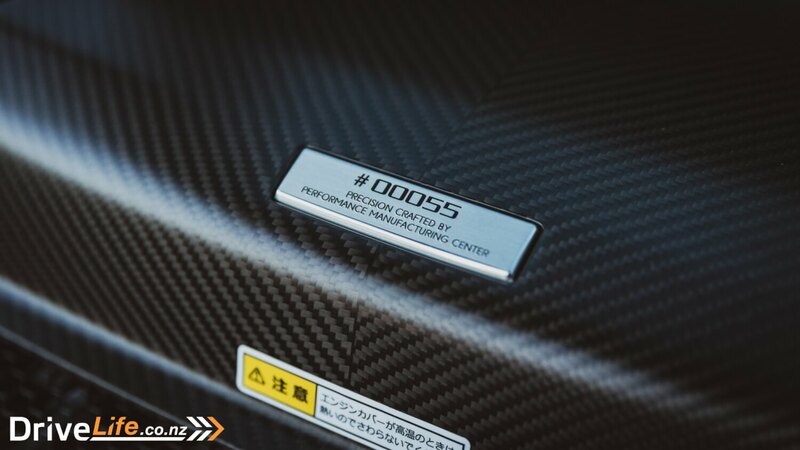 Honda New Zealand have delayed the local launch of the NSX several times, despite it being available in Australia for some time now. So since I’m in Japan I thought I’d see what all the fuss was about. Since the launch there’s only one variant of the NSX to keep it simple. You only get the choice of a coupe body style and one choice of drivetrain; a 3.5-litre twin-twin-turbo V6 assisted by three electric motors. Power is sent to all four corners via a 9-speed dual clutch transmission. That’s more than you really need. 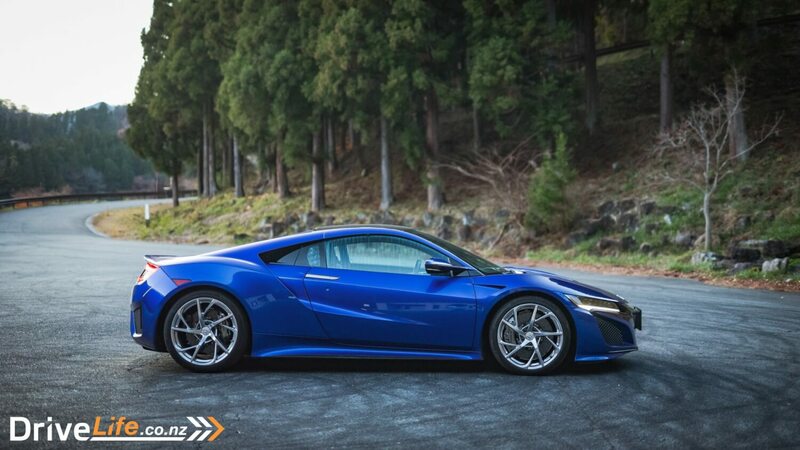 Prices for the NSX start from ¥23,700,000 in Japan, which is equivalent to about $315,000 Kiwi dollars. 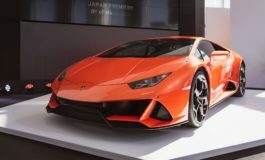 That puts it squarely against similarly powerful super sports cars such as the McLaren 570S, Mercedes-AMG GTR, Nissan GT-R Audi R8 V10, and Porsche 911 Turbo. 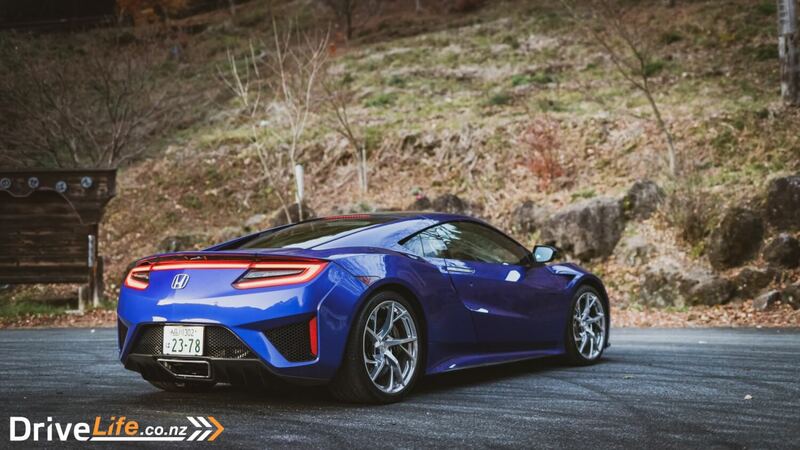 The difference being the NSX is the only one with hypercar hybrid tech in this segment. 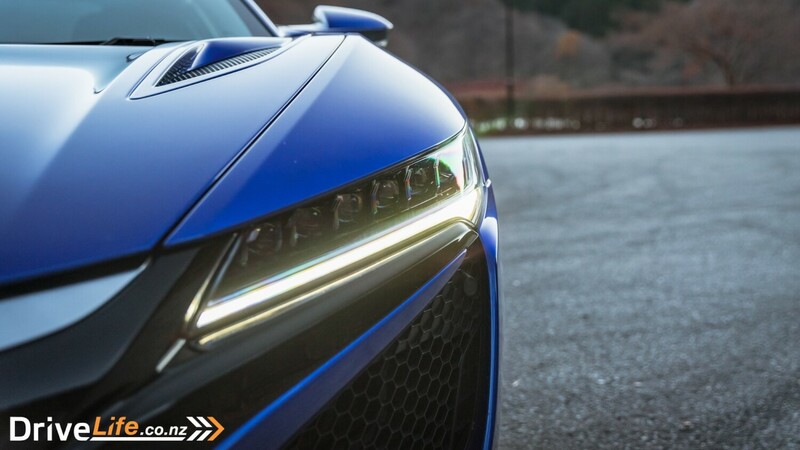 First impressions are important and this is where people struggle with the NSX. They’d approach it in the same way they’d approach the original and that’s just not right. Whereas the first one was a New Sports eXperimental, then this new one is a New Sport eXperience. 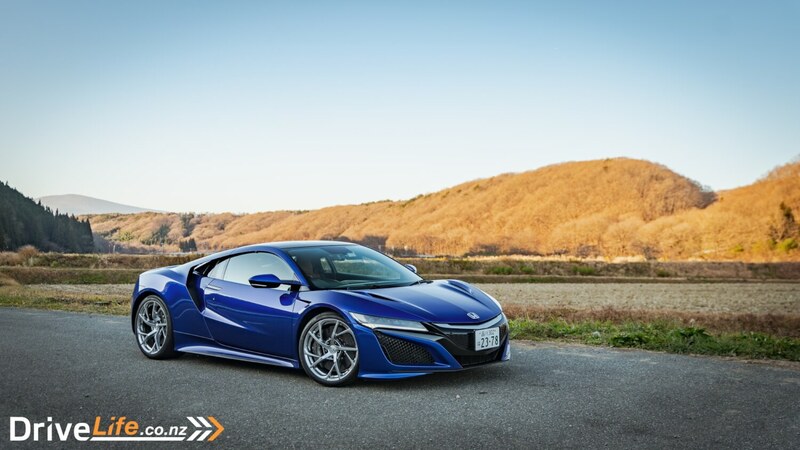 In the same way something like the Mercedes SL has completely changed ethos over the years (Sport Light, it is not), the new NSX should be given the same courtesy of being separated from its predecessor. 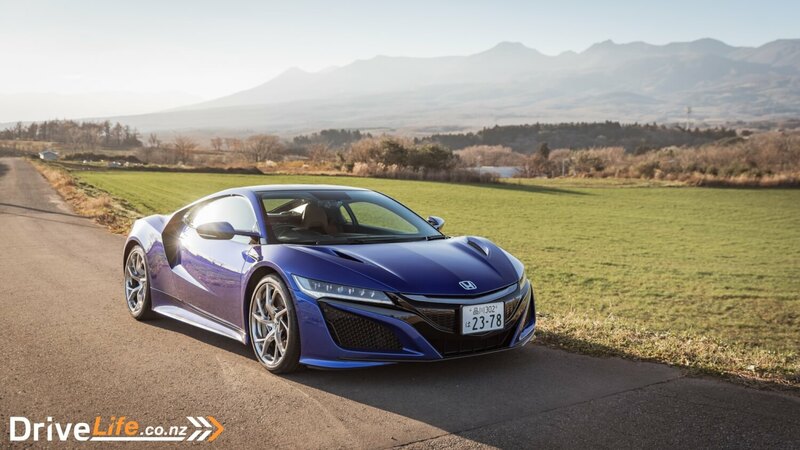 Whereas the previous NSX was a car that completed against its contemporaries, with the best technology available at the time and was priced accordingly, this new one does the same but in the 21st Century. From the outside it’s clear this is a product of the current times. The design is crisp and striking. It’s a handsome looking car. It’s not groundbreaking in its design but it’s not offensive either, much like the original car. Although, time will tell if the second generation will age quite as well as the original. Regardless, this thing turns heads everywhere it goes. People are often shocked to see the Honda badges on it but at the same time this is possibly one of the only truly exotic supercars you could leave parked on the side of the road without worrying about it being vandalised. Because after all, since it says Honda on the front it can’t be that flash. Certainly, if would be vandals were to look inside they’ll be greeted with a very Honda looking interior. Don’t get me wrong, it’s a perfectly functional interior and the fit and finish was adequate. However, for a car costing upwards of $300,000 you’d want it to “wow” every time you got in it. I mean it’s all lovely and nice, especially with the brown leather on my test car, but compared to rivals you get the feeling it could’ve been a lot more special. 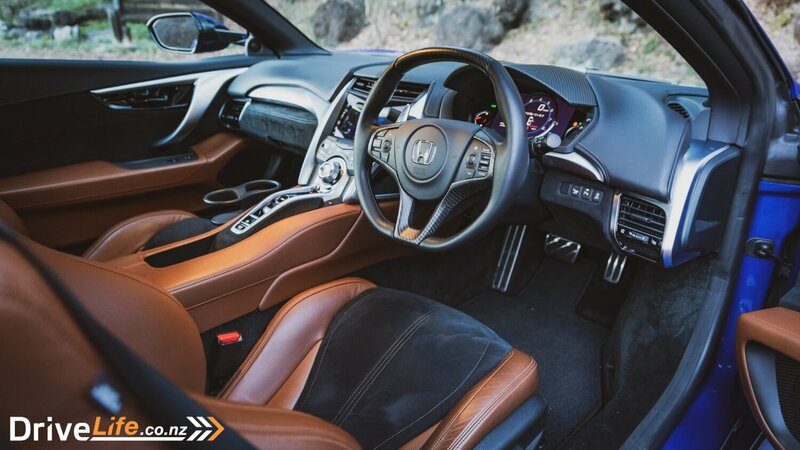 The driving position is one of the strong points of the NSX’s interior; it’s quite literally perfect. It’s nice and low but not to such an extreme where you can’t see out the thing. Visibility is great, the windscreen comes down deep so you get a great view out front. Unlike other supercars seeing out the side windows isn’t like looking through a letterbox either. There is a bit of a blind spot over your shoulder but other than that it’s just like any other Honda. 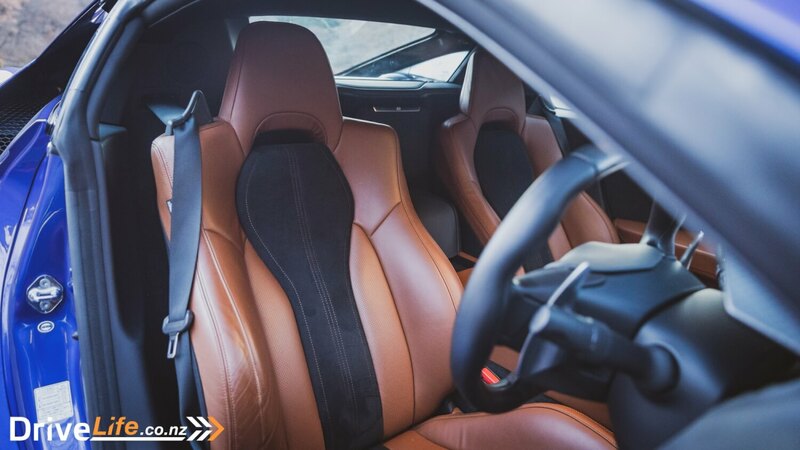 Despite being quite low and strictly a two-seater, the NSX can be a comfortable cruiser too. Certainly, it’s an ideal daily driver. The seats were comfortable and you get two (detachable) cupholders. 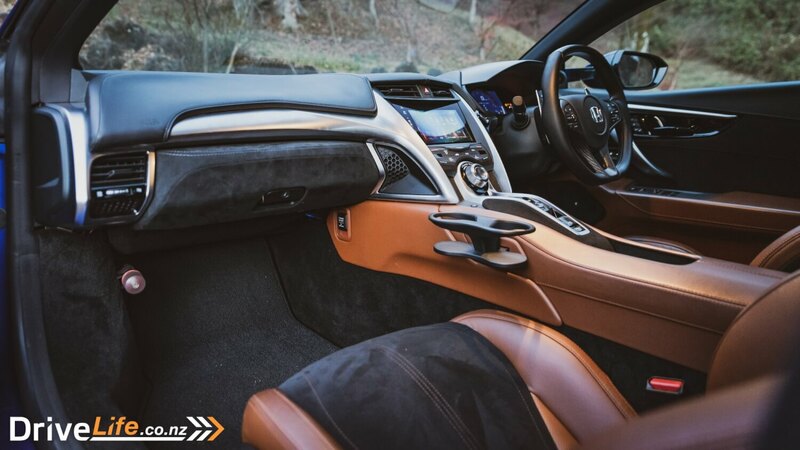 There’s all the usual creature comforts as standard including dual-zone climate control, heated and ventilated power seats, Apple CarPlay, Bluetooth, sat-nav, a reverse camera, and an auto dimming mirrors. You get the necessary driving aids such as traction control, ESC, and cruise, but you don’t get anything that interferes with the driving experience such as lane assist. I liked that. What it did lack was some in-cabin storage. There’s actually not many places to put things inside. You’ve got a glovebox, a minuscule central storage bin that’ll only fit a phone, and don’t even think about door bins. However, nowhere to put anything behind the seats either. 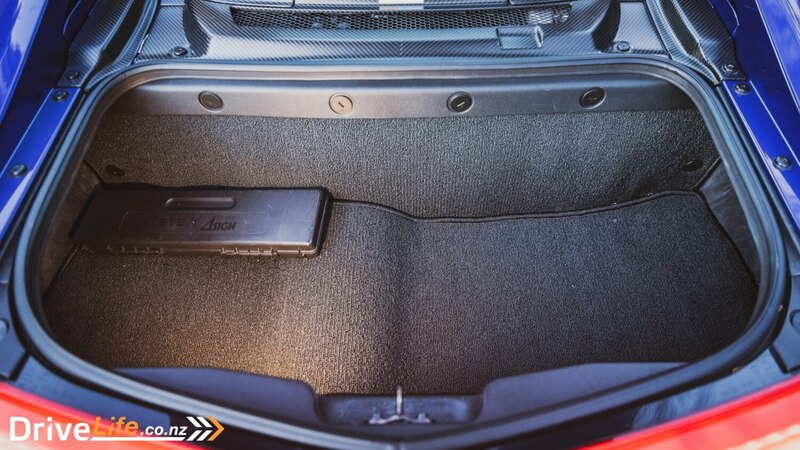 Unlike other mid-engine cars there’s no luggage space up front because of the electric motors. The rear boot is quite small too, though it’s big enough for a set of golf clubs or two weekend bags. 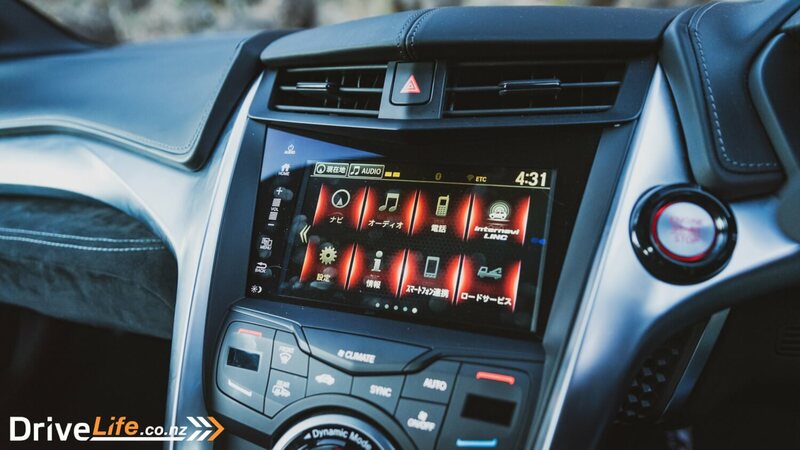 There’s also a lack of buttons inside, everything controlled via touch screen infotainment. The only buttons are for the climate controls and gear selectors. 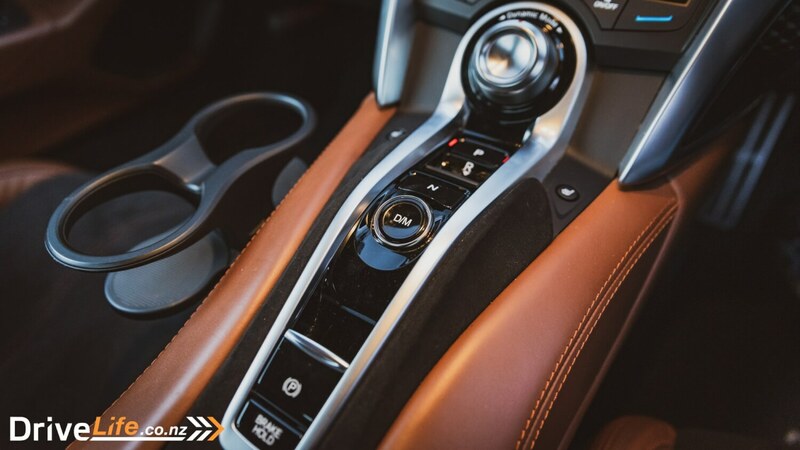 This high-tech supercar does away with an old fashioned gearstick and instead uses buttons to select gears. It’s quite easy to use and is certainly easier to use than the buttons in a McLaren 570S. That said, it’s a shame the steering wheel mounted paddles felt too plasticky for my liking. But that didn’t hamper the driving experience at all because that was very much to my liking. 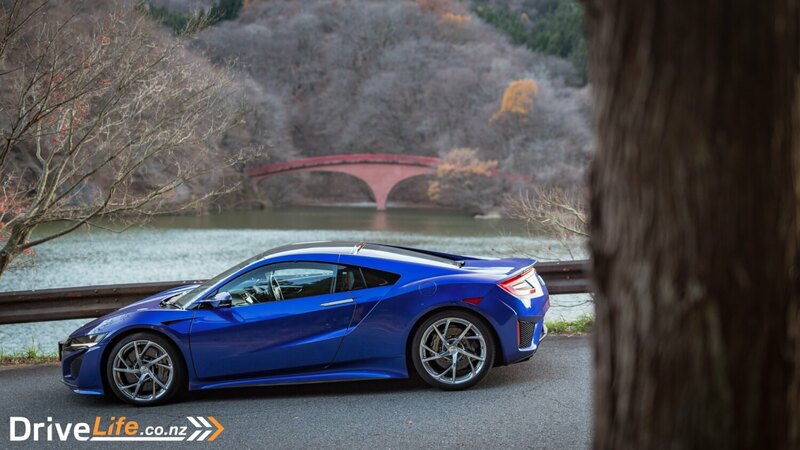 The NSX is utterly brilliant but then again, what else would you expect these days? What surprised me most was how bloody quick it is. 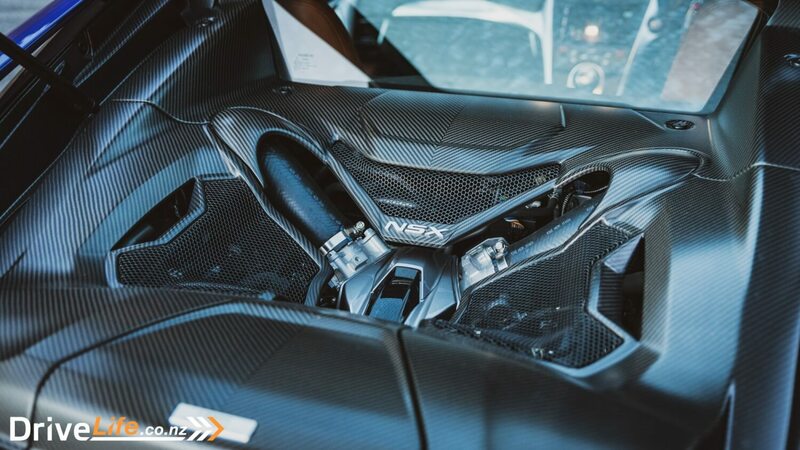 427kW from a twin-turbo 3.5-litre V6 hybrid doesn’t seem like a lot anymore when 700kW+ hypercars are becoming the norm and when you can get a Jeep with 520kW, but the NSX managed to be more impressive than its numbers would suggest. The initial surge you get when you introduce the accelerator pedal to the floor mat was mind boggling. 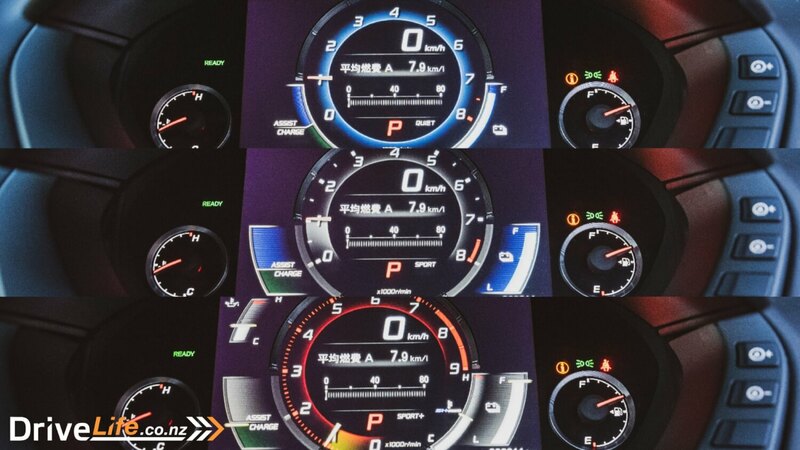 It was McLaren level of performance as the the engine, turbos, and electric motors propel you into hyperspace. There’s zero drama, one second you’re in one place and the next you’re being slingshotted into the distance. Power delivery was linear, up to a point. You’d be forgiven for thinking it had no assistance until you got past around the 5,000 rpm region where it’d catapult you with a tsunami of power. There’s no VTEC here but the hybrid and turbo assist was almost like a virtual VTEC. The dual-clutch transmission is fast acting, making sure there’s no lag when you floor it. Left to its own devices it’s quiet and intuitive, in manual mode the shifts are instantaneous. This was one of the best dual-clutch gearboxes I’ve experienced. 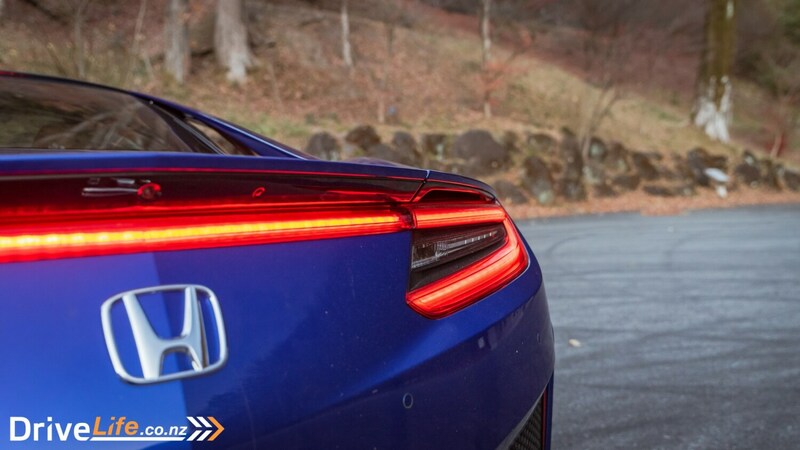 As if that wasn’t enough, Honda’s high-tech SH-AWD system felt like it was doing its job in keeping the NSX stuck to the road. I don’t quite understand how the clever torque vectoring works by using the various electric motors for the front wheels and petrol engine for the rear wheels, but the result was simple and effective. 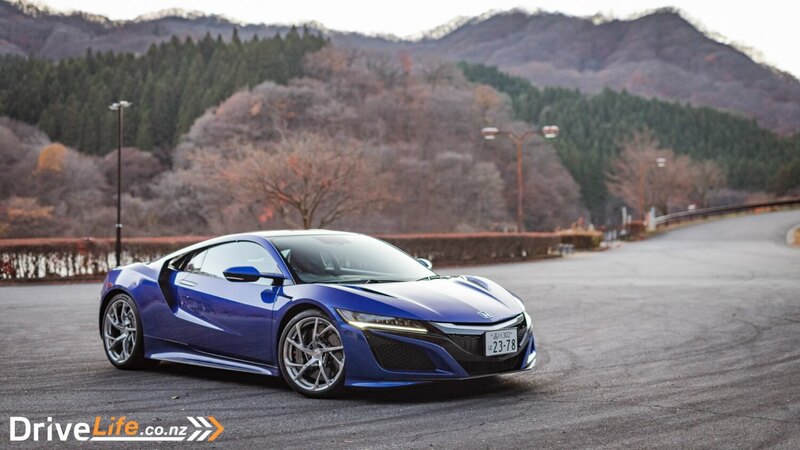 It gave you the confidence to just keep pushing the NSX knowing you’ve got the electrics maintaining grip. It just felt so planted all the time. Straight line performance was never going to be an issue in a car like this but where the NSX really shined was when the roads got all twisty. 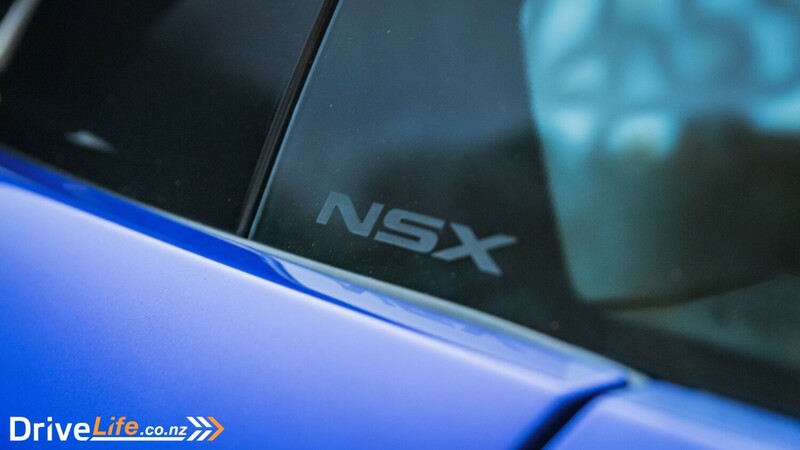 Don’t let the 1725kg weight fool you, the NSX felt as nimble as a cars that were 300-400 kg lighter. In many ways it felt like a more stable and reliable 570S, and if you’ve read my review of the 570S before you’ll know that’s the highest praise I could give any car. The steering was responsive and direct, it didn’t have as much mechanical feel as the McLaren on the count of it being electrically assisted but my god it was up there. It literally felt like there was nothing up front, you’d turn the wheel and the car would follow immediately. You could dive the nose straight into a corner and have the confidence it won’t understeer. As cliche as it sounds, it was like driving on rails. 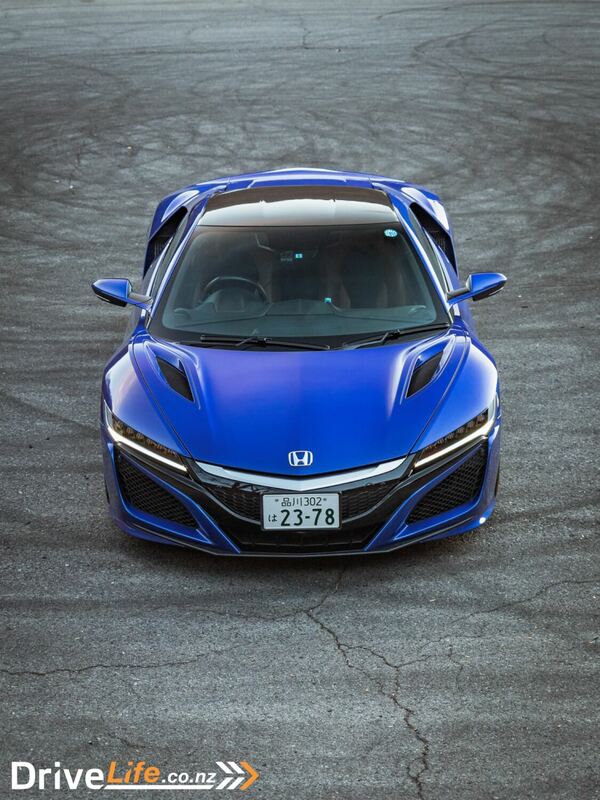 There was fluidity in the way the NSX moved through corners. It was planted at all times and egged you to keep going towards its limits. I took the NSX to a mountain road popular for drifting and while it gripped around all the corners, it never stopped making me smile. That, to me, is the most important thing a car can do. You could have fun with this without needing the skills of a F1 championship-winning driver. It’s precise and predictable, the car will only ever misbehave if you’re doing stupid things with it at stupid speeds but even then, correcting it is easy peasy. It’s an exotic mid-engine car that’ll make you look and feel heroic. I was surprised how willing it was to be thrown around and abused, and how easy it was to do so. It’s great to think about driving an exotic supercar hard around fabulous roads but in reality, it’s hard to be comfortable doing so because the width and value of the car are constantly in the back of your mind. 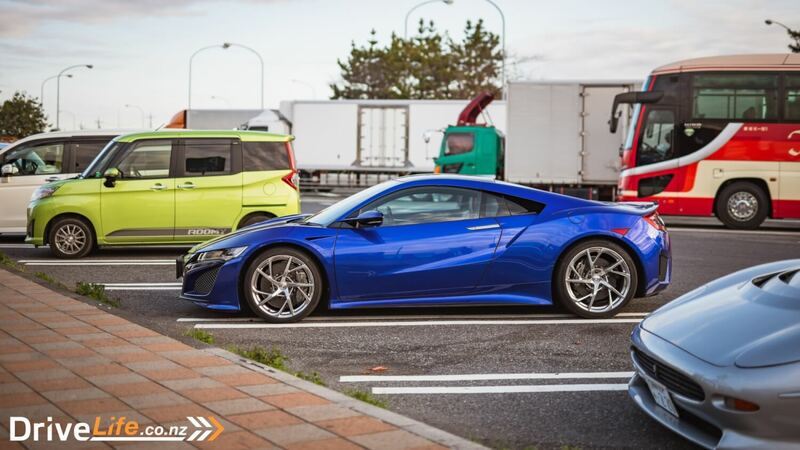 In the NSX, that wasn’t the case. It felt like a zippy sports car. The drive modes themselves transform the characteristic of the car, Sport+ being the most extreme and most McLaren-ish. Even the noise and volume is similar to the 570S. The ride is a tad stiff in this mode but never uncomfortable, it’s never NISMO GT-R stiff. Sport is best middle ground with all that performance and slightly softer damping. Comfort is great for long distance motorway cruising as it makes the engine quieter and ride all that more comfortable. It’s a proper jack of all trades this car. 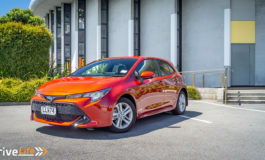 On the one hand it can be a proper driver’s car on a mountain road, a comfortable GT cruiser on the motorway drive back into town, and being a hybrid, a perfectly usable daily driver in the city. 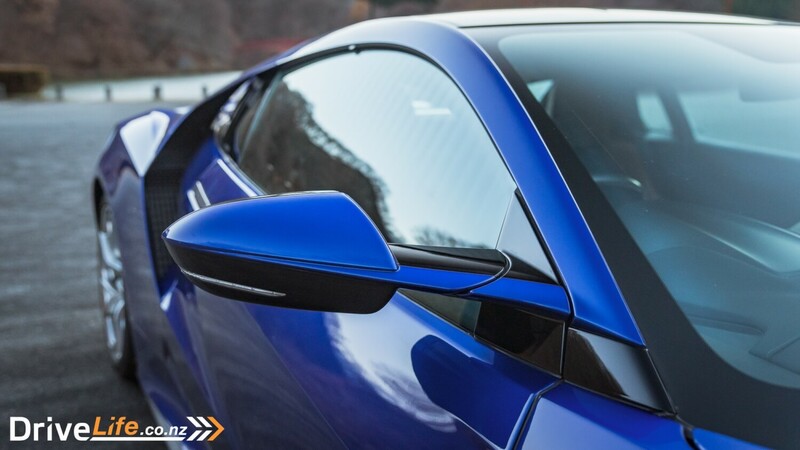 It’s got the exotic looks (especially in this blue metallic paint with the chrome wheels), it’s got hypercar hybrid tech, proper supercar performance, McLaren-matching handling and grip, grand touring comfort, daily usability, and Honda reliability. What could possibly go wrong? Move over 570S, I have a new favourite in this segment. t’s the only supercar you’d want or need for everyday driving. The R8 might have a howling V10, and as brilliant as that engine is, the rest of the car just doesn’t do anything for me. The AMG GTR doesn’t even come close to being as rounded as the NSX, while the reliability issues on a McLaren would worry me. The Porsche 911 Turbo, long heralded as the best supercar to daily, is still a contender but it doesn’t have the NSX’s head-turning looks. Yes, $300,000+ for a Honda is a lot. Yes, it’s not even for sale in New Zealand yet and sure it’s made in Ohio instead of Japan. You’ll also have to explain to everyone why you bought one of these instead of the usual suspects – but who cares. 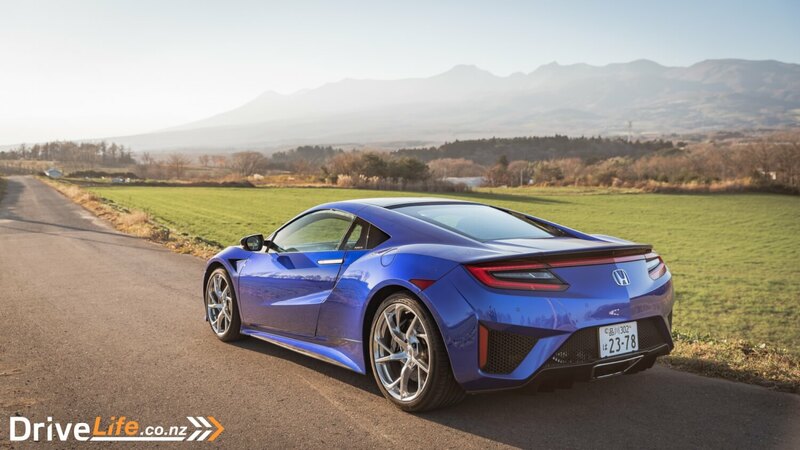 This is a fantastic car in its own regard and one that might not immediately have the legendary status of the first NSX but a car we’ll look back on in 20 years as being ahead of its time by bringing hybrid tech into the super sports car segment. 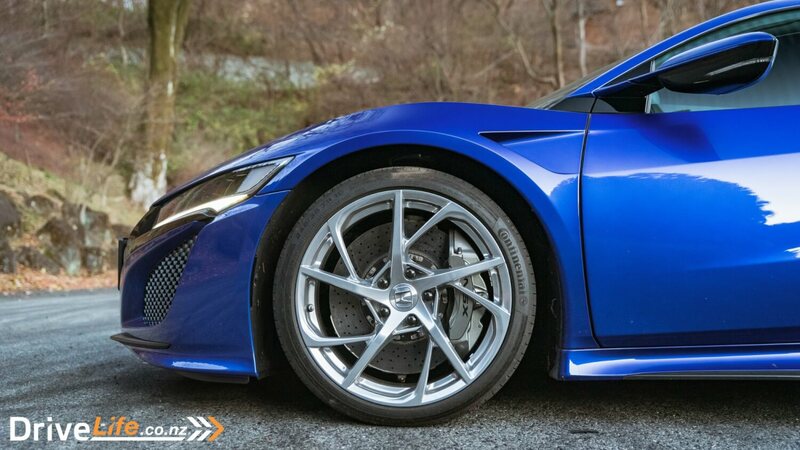 Dare I say it, this might be Honda’s LFA moment. If my imaginary lottery win garage had only one space it’d be used to keep an NSX. It’s really that brilliant. 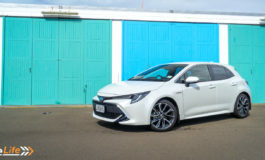 Next article 2018 Toyota Corolla Hatch SX - Car Review - Has Everything Changed?